I’m now posting observing reports in reverse order. 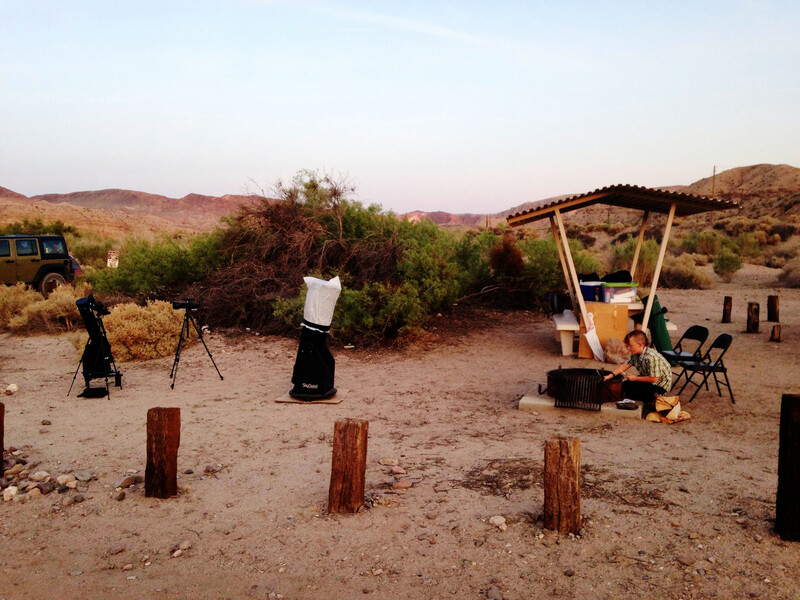 The last post was about the PVAA star party on April 18, this one is about an informal gathering at Afton Canyon the week before. I got an email from Ron Hoekwater saying that he, Laura Jaoui, and Craig Matthews would be heading out to Afton on Saturday, April 11. London and I were already planning on camping somewhere that weekend, and the high desert promised to be cooler and darker overnight than the Salton Sea or points south, so we jumped. I was excited to get back. The only other time I’d been to Afton, in the fall of 2010, I had one of the most memorable nights of stargazing of my life. That time the road down to the campsite was in horrible shape so we camped up on the rim. This time the road was passable and we got a campsite right across from Ron, Laura, and Craig. 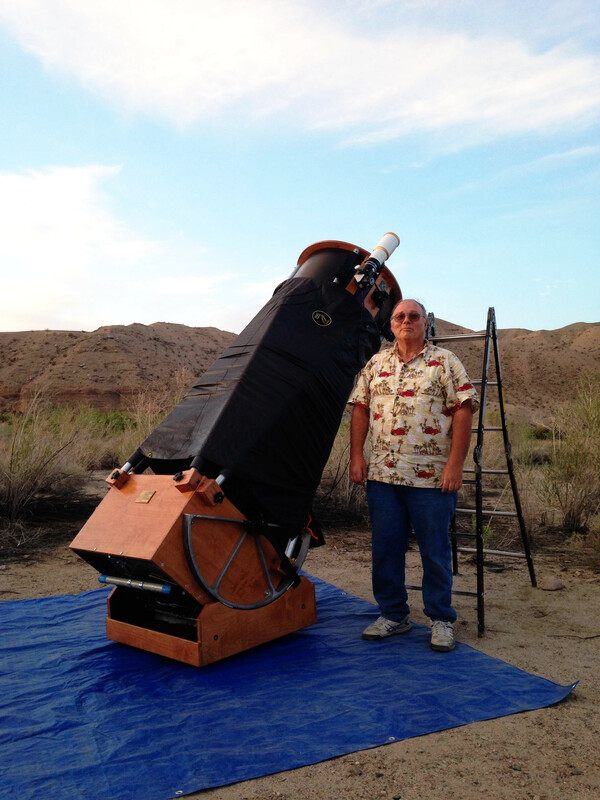 Craig had his 12-inch Meade Lightbridge dob, and London and I brought our XT dobs and a couple of smaller scopes. Ron brought his new 25-inch Obsession. More about that in a bit. The early evening was fairly miserable. We were camped only a little over 100 yards from the Mojave River and the mosquitoes were ghastly. I had a ThermaCell on, but for once it seemed to do no good. Possibly because of the breeze – there was a very light breeze, not enough to keep the bugs off, but possibly enough to disrupt any benefit from the ThermaCell, even though I tried to keep it upwind. Fortunately, Craig had some DEET wipes to share, and the wind came up after dark, just enough to keep us mostly bug-free for the rest of the evening. London and I set up camp and cooked dinner (hot dogs and brauts) and then started picking out some of the best and brightest things in the sky. I didn’t do much dedicated observing of my own – too busy helping London and sneaking peeks through Ron’s 25-inch. After London sacked out, I abandoned my scope entirely, and spend the next three hours observing with Ron. He was very generous with the scope and even let me drive it to new objects a couple of times. It was the first time I’d gotten to actually use such a big scope for more than quick peeks at star parties. It was pretty freaking spectacular. We looked at M81, M82, M51 and NGC 5195, M104, M97, M108, M5, M13, M57, M4, NGC 6144, NGC 4565, NGC 4559, an Abell galaxy cluster in or near Serpens Caput (I’ve forgotten the designation, but there were a LOT of galaxies in the field), NGC 4361, and Epsilon Lyrae. We caught the outer spiral arms of M81, the bridge of gas between M51 and NGC 5195, to-the-core resolution on the big globular clusters…amazing things. Unfortunately, the lousy seeing kept us from resolving the central star in the Ring Nebula. The Owl Nebula actually looked like an owl. My favorite view of the night was of M51 – the spiral arms weren’t just there, they were sharp and detailed, like a slightly fuzzy photo of the galaxy. Wonderful night. 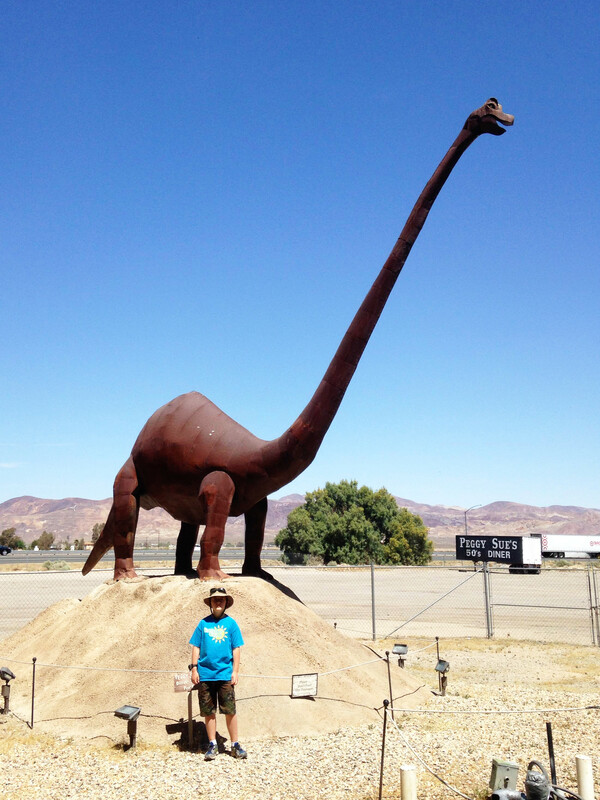 On the way home the next day, London and I saw dinosaurs, but you’ll have to head over to SV-POW! for the rest of that story.